With 31 goals in 32 league games, Borussia Dortmund forward is hot property across Europe but he is set to snub the glamour of European football for the riches of Asia. PSG, Chelsea and Liverpool have all expressed interest in him but the Gabonese could be on his way to China in a deal which will make him Africa's highest paid player. 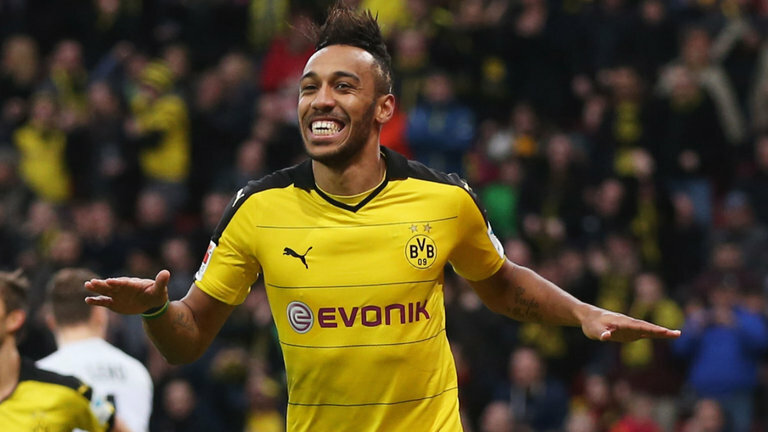 Chinese Super League side, Tianjin Quanjian will offer Aubameyang an eye-watering £26.5m-a-year salary to make the move to China and rumours have it the player is considering the offer. Dortmund CEO Hans-Joachim Watzke initially made it clear that the club would not allow their top scorer to leave for less than £63million, but Tianjin chairman Shu Yuhui looks set to table an offer in excess of £70m.